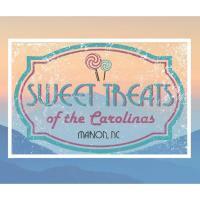 “Sweet Treats of the Carolinas Festival” will take place April 20, 2019 right on Main St. in downtown “Mayberry-like” Marion, North Carolina. The festival is family oriented, spotlighting vendors from all around and their sweet delicious treats. It will also include nonprofit organizations, as well as booths for local and regional artisans to display and sell their creations. The festival will also feature activities such as Games, 5K Dash and a Miss Sweet Carolina Pageant. This will be the SWEETEST festival in the Carolinas. Can’t wait to see you on Main St in Marion.